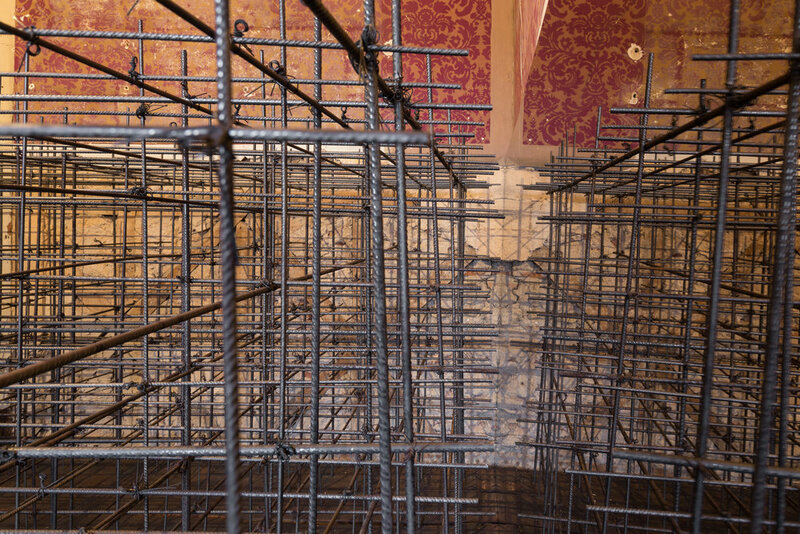 Iron rods, mirror and wire, 1450 x 4000 x 3200 cm, 2015. Exhibition in Carpe Diem Arte e Pesquisa, Lisboa, Portugal, 2015.
garden. The crossing of this geometrical absence caught my attention. came to existence giving the room a new dimension.